Excellent data analysis methodologies fail to produce good results when using bad data. Bad data arise from inadequate strategies at the collecting stage, that are responsible for bias, or insufficient to produce accurate estimates of parameters of interest. Sampling is the statistical subfield that uses randomness as an ally in data gathering, the gold standard in ideal situations being to collect samples without replacement (thus each item bringing in new information, and as a consequence the estimator having reduced variance when compared to the corresponding sampling with replacement estimator). A quick overview of sampling strategies is presented, showing how they deal with cost control in non-ideal circumstances. Comments on the use of immoderately large samples, on the reuse of samples, and on computational sample augmentation, and other critical comments on misuse of statistics are registered, in the hope that these alerts improve the obtention of statistical findings, so often blurred because sophisticated statistical analysis is useless when it uses bad data. To guess is cheap, to guess cheaply can be wrong and expensive. This research has been supported by National Funds through FCT—Fundação para a Ciência e a Tecnologia, project PEst-OE/MAT/UI0006/2011, and PTDC/FEDER. 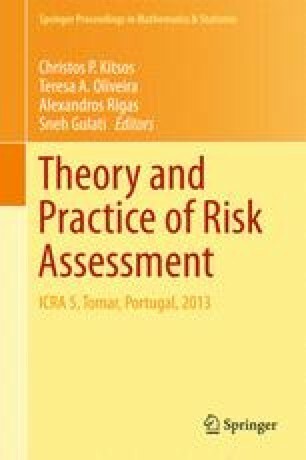 The authors are grateful for very useful comments from Prof. Sneh Gulati, that helped them to improve the readability of the text, and to the comments and suggestions of the anonymous referees, very helpful in improving the presentation.